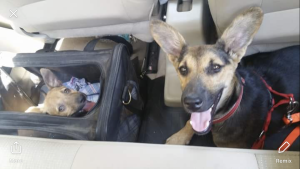 Six weeks ago, I returned home from India with two more pieces of precious cargo than I’d departed with: Hari and Melvin, Indian street dogs who were ready to find new homes in Canada. 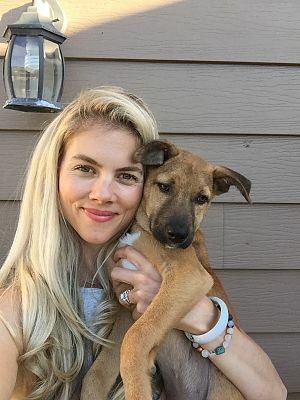 48-hours before my flight home to Vancouver, I received a message on Instagram from a dog-loving woman named Jordana who asked if I would consider being an airline sponsor to a pair of street dogs who were in need of rescue. The immediate answer was, of course, YES! 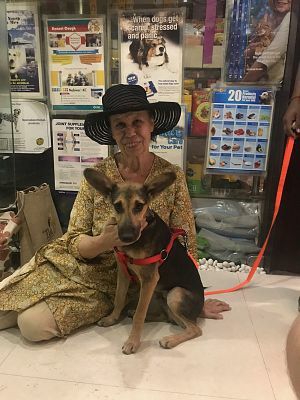 Online, Jordana introduced me to Grace, an American woman who passionately runs Rishikesh Animal Care, a grassroots dog rescue group located 240km north of Delhi. Grace had recently taken Hari and Melvin in from the streets and they’d both had rabies vaccinations — they were ready to travel abroad to their forever homes. After a few hours of furious texting and coordinating, my amazing supporters and travel partners Zach and Steph and I made a plan to meet Grace — who would take a five-hour taxi with the dogs from Rishikesh to Delhi — at petfly.in, a business that assists with international dog rescues. 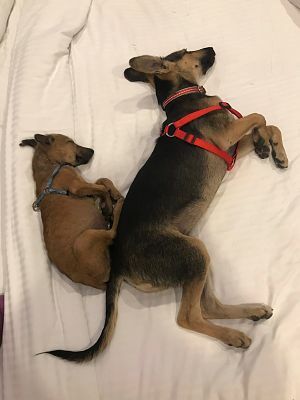 Meanwhile, Hari and Melvin’s flight reservations were confirmed thanks to the assistance of another rescue dog-loving individual named Melody, who provides rescue support from Vancouver (if you would like to help or have any questions, she’d be happy to help: mantrayoga@hotmail.com). We got there early and sat excitedly staring at the security camera screen where we’d first see the dogs and Grace arrive. Finally, we saw them on the black and white screen. We ran outside to meet them in the flesh. Hari was just as sweet as he seemed in the pictures. For an instant, he was hesitant, but then came right to me with a waggy tail, hugs and kisses. He was even smaller than I’d imagined (around 23 pounds) and completely gushing with loving. Melvin was like a newborn. We carried him around like a baby. He was so delicate and soft, despite his missing patches of hair and very evident mange. 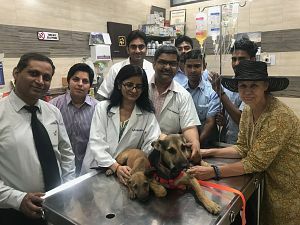 Once the hellos were over, veterinarian Premlata and her Dr. Choudhary’s Pet Clinic team got to business. Both dogs were microchipped and given shots. Meanwhile, we shopped in their adjoining store for the dogs’ travel essentials. Once everything was sorted, we set off with the dogs for our hotel room where we spent a few hours lounging and eating before our 21-hour journey would begin. I felt stressed imagining how scared the dogs might be on the flight (especially Hari who would be traveling solo in the cargo area), but I focused on the fact that it would all be worth it. Soon, they’d be in Canada where they’d live out happy lives, have no shortage of food or water, have access to vet care and have a much lower risk of deadly viruses like rabies. 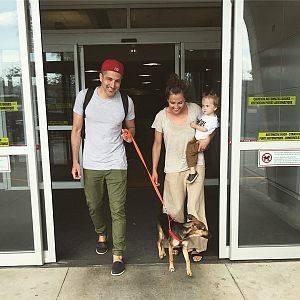 In the end, Hari walked out of his crate onto Canadian soil with the waggiest of tails. You’d never guess he’d just endured such a long flight with no food, in an unfamiliar (possibly scary) environment. Seven weeks later, Hari and Melvin are loving Canada. They are huge players and if it were up to them, they’d wrestle all day long! Hari is living with my family and Melvin (now Lenny!) is with my travel partner Zach’s sister-in-law, Tasha, and her family of two rescue dogs and two toddlers. Hari meeting Jordana, the wonderful woman who initiated the entire rescue mission. If you are heading to India, Mexico or any other country with millions of street dogs needing homes, I hope you will consider being an airline sponsor or possibly even adopting one. I don’t doubt they will repay you with love, loyalty and gratitude every day for the rest of the life, like my sweet Mexican Effie girl has done for me. 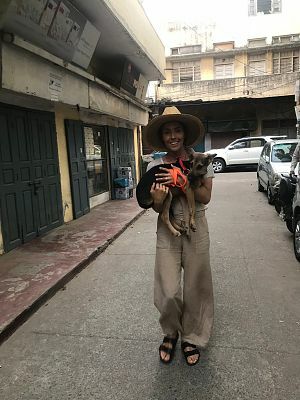 Here are some tips for rescuing dogs from India, but most of this info applies to Mexican rescue dogs as well. Connect with a rescue group to help find dogs in need. It isn’t hard to find dogs who need rescuing. 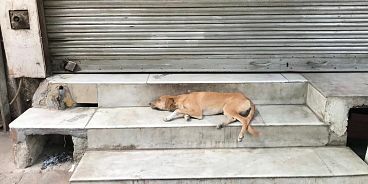 There are an estimated 30 million street dogs in India. 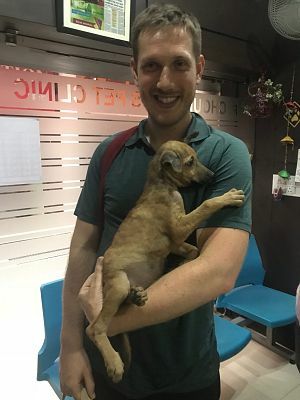 However, connecting with a local rescue organization can simplify the rescue process, as they’ll often have dogs who are ‘ready to fly’ (meaning they’ve already been vaccinated and microchipped). 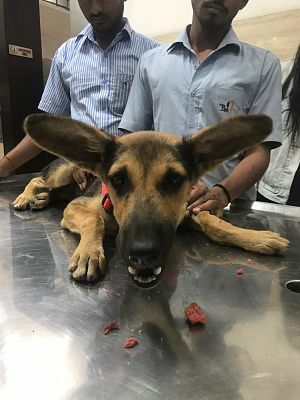 We connected with Rishikesh Animal Care while in Delhi and Grace is wonderful! 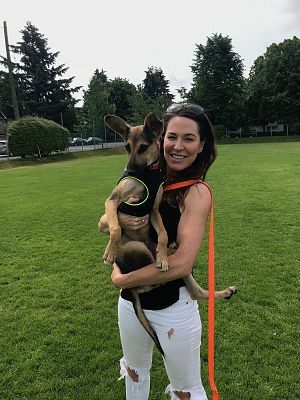 Send her a message here on Facebook to get in touch and she’ll be able to put you in touch with amazing Vancouverites, including Melody and Jordana, who can help you find a foster if you’re not planning to adopt. 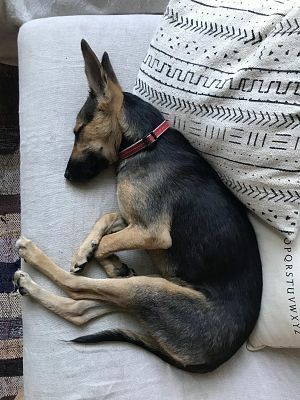 In Mexico’s Baja region, I connected with Pescy Dogs a few years back — they are incredible and they are the ones who rescued Effie off the streets. Send them a message if you’re in town and want to help. Make sure your airline accepts canine travellers. Sadly, not all of them do. Air Canada does and they are who Hari, Melvin and I flew with recently. This information should be available on your airline’s website. Rule out airline travel restrictions. Airlines sometimes have pet-related travel restrictions, such as a ban on pets in the cargo area during the hot summer months and no pets on flights longer than 12-hours. Air Canada’s summer ban lasts from May until September, but there are exceptions! Because our flight was leaving at midnight, a cooler time of day, they allowed Hari on-board. More good news is that small dogs can still fly with you in the cabin! And fortunately, Air Canada does allow pets on board for long trans-Atlantic flights. Ensure the dogs have all necessary vaccinations and paperwork to enter your country. All Hari and Melvin needed to enter Canada was a rabies vaccination and a microchip. The vaccinations may need to have been administered one month prior to their entry into the country. An amazing company called petfly.in, run by Indian veterinarians, helped sort all of this for us. They know all the rules and regulations and got all the documents organized for us. All we had to do is pay a small fee for their time. If you’re near Delhi, I highly recommend you seek their help. If elsewhere, find another vet. Make an airline reservation for the dogs. Whether the dogs are travelling in the cargo area or the cabin, they’ll need a reservation. This can be done by calling the airline directly and will cost anywhere from $30 to $230. The cargo area can fill up, so make a reservation asap and hope that it’s not at capacity. Note: if your dog is small (~20 pounds), they can travel with you in the cabin (in a travel bag at your feet). If the dog is over 20-ish pounds, they’ll need to travel in the climate controlled cargo area in a crate. Check with your airline about size restrictions to determine where the animal will travel. Stock up with pet travel necessities. Prepare the dogs for the long journey. If your dog will be traveling in the cargo area, they won’t be eating for quite a while. Fill them up with a large, heavy meal that will satiate them for as long as possible. Grace, Hari and Melvin’s rescuer, recommended we feed them white rice and boiled chicken. 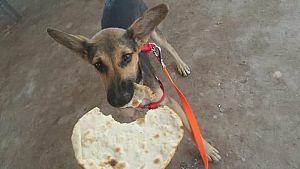 Smaller carry-on dogs, can eat during the flight. Make sure they pee/poo before the long journey! As for sedatives pre-flight, even if the dogs seem nervous, it’s not recommended as they could cause tummy upset or vomiting. Reserve dog-friendly airport transportation and go early! Make sure your car-ride to the airport accepts pets and has enough room for the crates. And go early! We arrived to the airport at 8:30pm for our midnight departure and even then we cut it close. The check-in process takes longer with dogs as there are more documents to check and you must walk crated dogs to a separate check-in area. Reduce stress by giving yourself lots of time. Triple check you have all the dogs’ paperwork. Take a picture of the documents so you have an e-copy in case they get lost. In India, security mistakenly held onto Melvin’s documents, and we departed before realizing. Thank goodness, our amazing petfly.in vet, Dr. Premlata, saved the day by quickly texting me a PDF of the paperwork. On your customs declaration form, make sure to declare that you’re traveling with an animal and be prepared to pay a small fee (~$30). If making a connection before your final destination, you may have to retrieve the dog (which is nice because you can give them some love and change their pee pad), and then check them back in for the final flight home. If you’re wondering if there’s a quarantining period, the answer is no! From India to Canada, there is no quarantining, even for puppies. I’ve heard that from Mexico to Canada there is a short quarantining period for puppies, but not for older dogs. Last very important thing: you can’t import a dog for someone else. So, you must declare that the dog is yours. If you have any questions about rescuing dogs from India or Mexico, shoot me a note! I’d love to help. Contact: erin at itstodiefor dot ca. Also, if you know of other Indian or Mexican rescue organizations I can link to on this page, let me know so I can add them!